Scottish online poker pro Dale "Daleroxxu" Philip was removed from Team PokerStars Online on June 17, allegedly due to his behavior at an event in Marbella, Spain. Philip claims that his contract was terminated because of a World Cup-related incident at PokerStars' own Marbella Poker Festival. According to Philip's reconstruction of the events in a post he published on his personal blog on Wednesday, PokerStars decided to drop him from Team Online because of the way he cheered for a goal scored by Netherlands forward Robin Van Persie during a World Cup match against Spain. Contacted by U.K.'s PokerNews Matthew Pitt, PokerStars PR Manager Marc Stuart confirmed the room's decision to part ways with Philip, stating that "we can confirm Dale is no longer a member of Team Online and we wish him well in his future endeavors." Stuart, however, preferred not expand on the reasons that motivated PokerStars to end its contract with Philip six months before its natural end. Philip first communicated the news from his Twitter account on June 17 when he wrote that he had "just been dropped from PokerStars for the goal celebration against Spain." The news came while the Philip was heading back to Thailand – where he currently resides - after a week spent in Spain to represent the poker room. Contacted by PokerNews, Philip preferred not to issue any statement about the episode. He explained that his version of the story and his thoughts over what happened in Spain "have all been extensively explained in the blog post" he published on June 18. 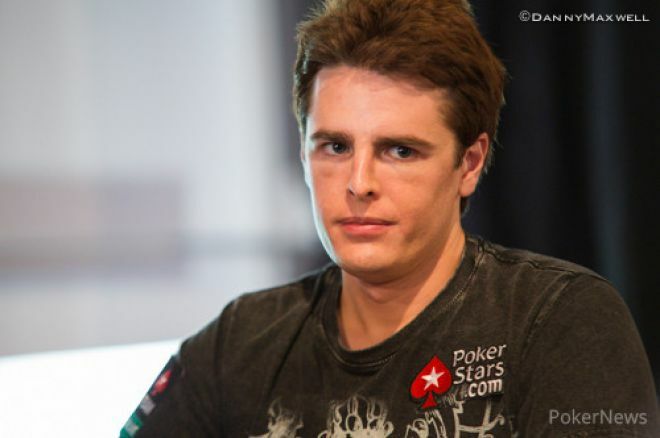 Henrique Pinho Leaves Team PokerStars Pro: "I Had Five Incredible Years!" The "urubu111" Challenge Update: Marcelo Freire Looks For a Buy Out. "I Just Want My Life Back"